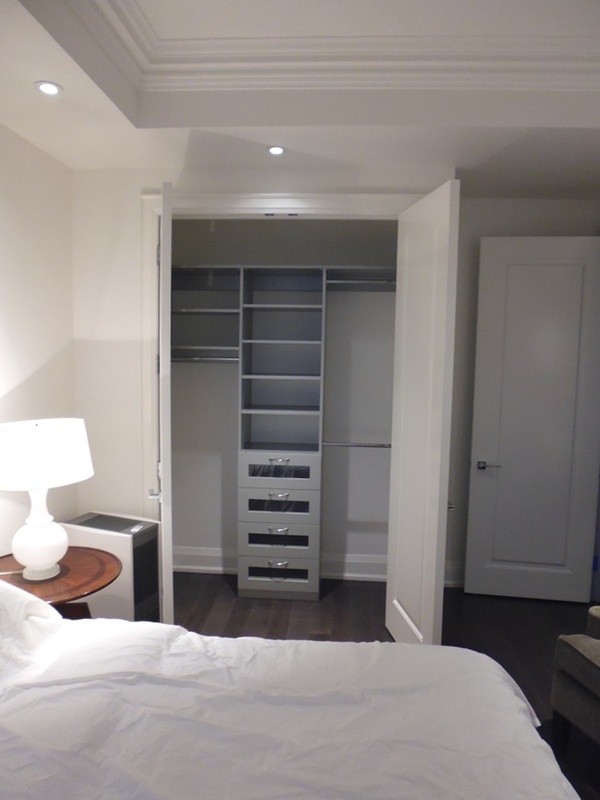 For this client’s high end condo in Toronto, the Reach in Closets presented a few different design challenges. In the master bedroom, the client needed a mix of full and double hanging space as well as shelving and drawer storage. Not a problem for Komandor…the challenge was to have drawer fronts that had a glass insert so the items inside could be seen without opening the drawer. 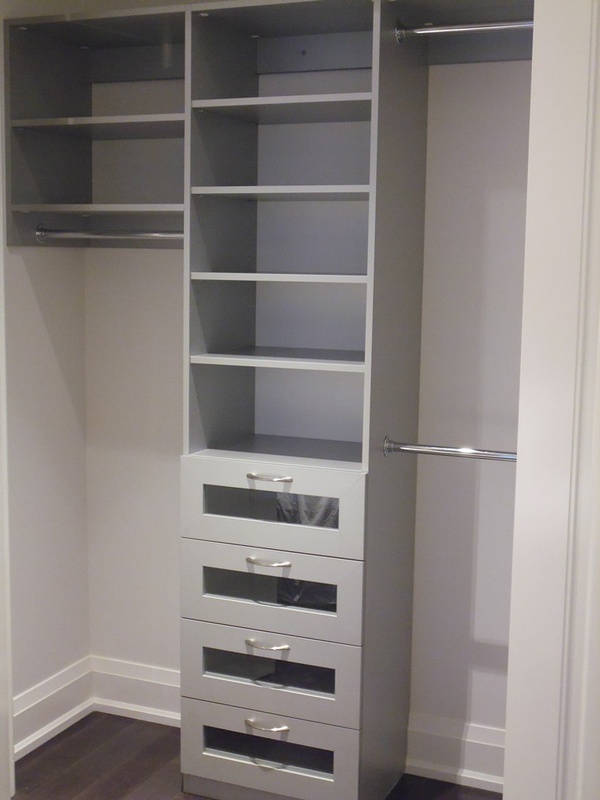 A number of options were discussed but for these reach in closets, the client chose 5 piece drawer fronts with clear glass inserts. 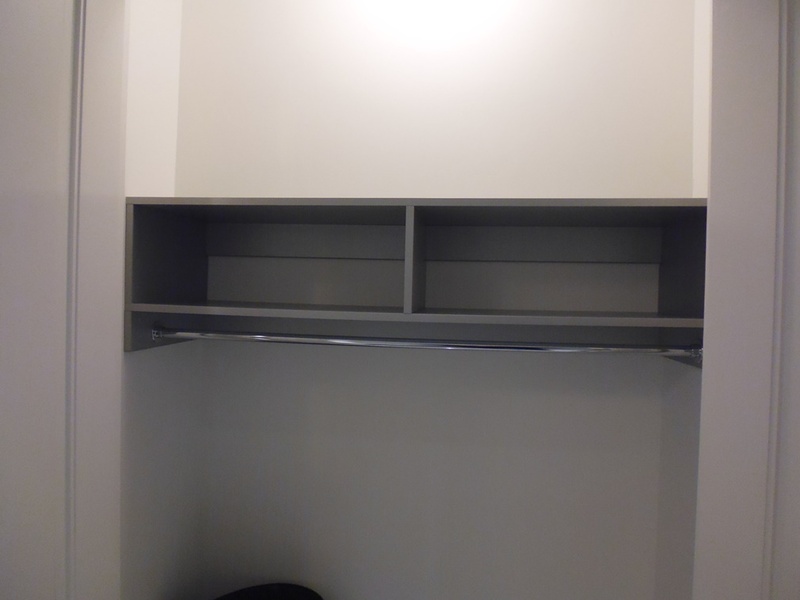 The home office closet posed a small design issue, a small bulkhead housing some of the unit’s mechanical system. One option would have been to use a closet system that hangs entirely on the back wall of the closet (known as a wall-hang system). This was not possible in this case because the shelving unit was going to be used to store some very heavy items. The solution in the end was a custom floor based system whose middle gable sits on the floor of the closet. This design maximizes the storage potential of the space without limiting the amount of weight that could be put on the individual shelves. Finally, the foyer closet. 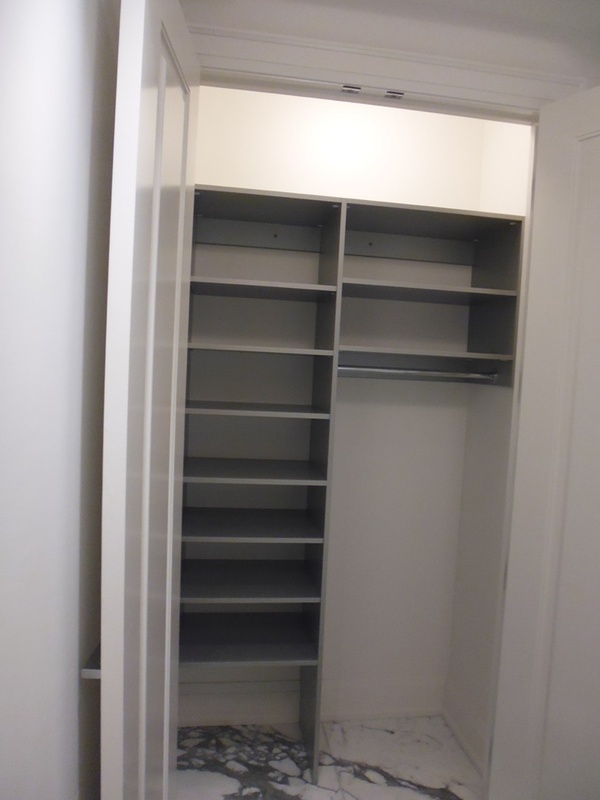 This closet’s only requirement was for it to be functional and simple. The client’s storage needs for this space were very straight forward, “Coats on a hanger bar, shoes on the floor and maybe some shelving space for gloves, purses and hats in the winter”. 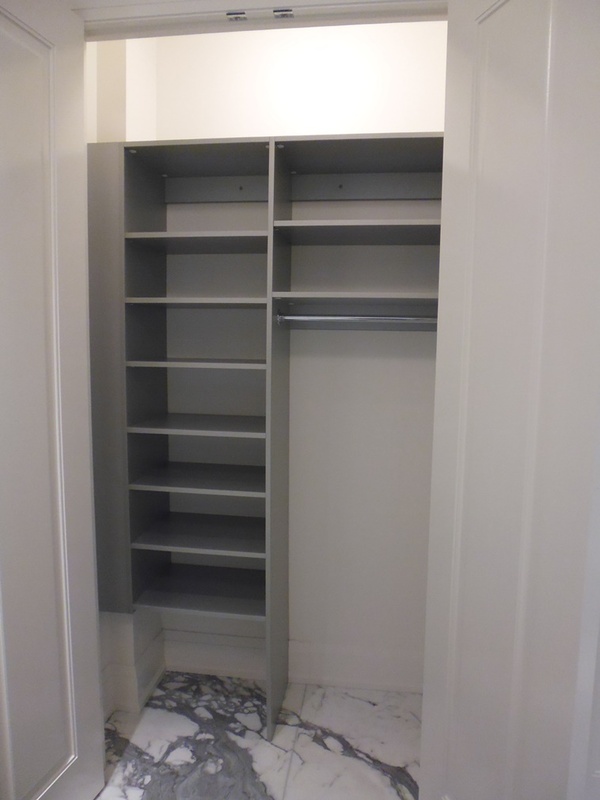 The requirement for this reach in closet was simple and straightforward and the final product was exactly what the client had imagined for the space. 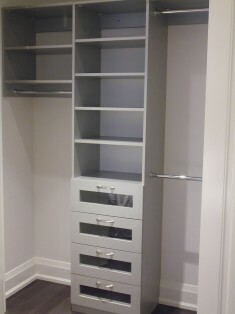 All components for these reach in closets were constructed using Komandor’s “Aluminum” laminate finish. This panel very nicely complimented the client’s cool decor as well as the warm wood floors in the bedroom closets and Carrera marble in the front foyer. Please Contact Us if you are interested in our reach in closets or would like more information on other Komandor products.